This race was memorable for a few reasons. 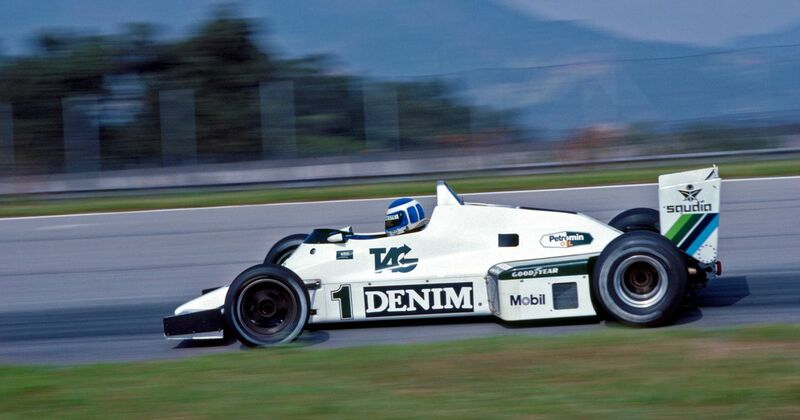 Keke Rosberg’s pole position for Williams was the last for the Cosworth DFV engine which had first debuted back in 1967, and the last pole for a naturally aspirated car until 1989. But bizarrely, it was also a race in which nobody (that’s right, nobody) finished second. Rosberg initially led away from pole but a few laps into the race Nelson Piquet’s Brabham took the lead and cruised off to a victory. The previous year Brabham had reintroduced the idea of refuelling so that the cars could run lighter and faster throughout the race, and naturally other teams followed suit. 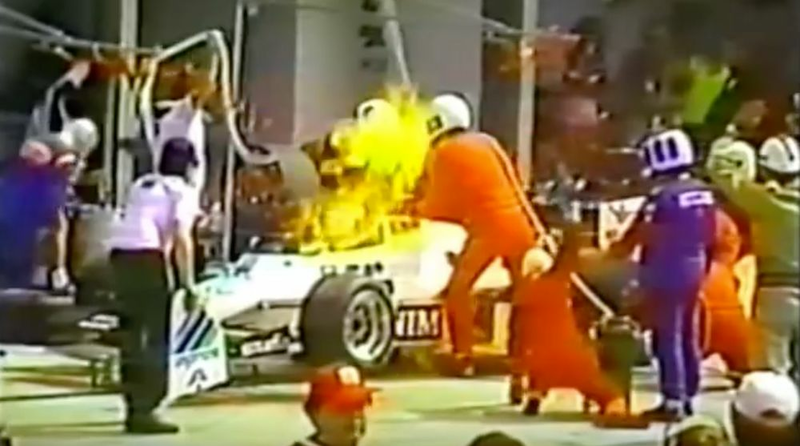 One of those teams was Williams, but when Rosberg came in for his first stop of the season, the car caught a little bit on fire, which was less than ideal. Once the fire was out, Keke jumped back in the car and fought back to finish second. Not bad! The only problem is that after his stop his mechanics gave him a push start, which was illegal. The FIA didn’t mess around with a post-race time penalty or anything like that and simply disqualified him. Bad news for Keke (who’d also been disqualified from second in the same race the year before) was good news for everyone else though, right? Niki Lauda would move up to second, Jacques Laffite onto the podium, and Alain Prost into the points. Except for reasons unknown to anyone, the FIA bizarrely decided not to readjust the order. Therefore Lauda stayed in third and nobody finished second, nor got the six points available for second place - a unique occurrence in F1 history. Joe Kelly (born 1913) took part in the first world championship F1 race at Silverstone in 1950, where he finished but was unclassified. It was a similar story when he entered his second and final race at the same venue the following year. Mike Fisher (born 1943) entered a Lotus (Jim Clark’s 1965 title-winning Lotus, no less) in two races towards the tail end of 1967. He qualified at the back and finished 11th in the Canadian GP and retired on the opening lap in Mexico, at which point his racing career was effectively ended when he was drafted as a fighter pilot for the Vietnam War.